We all love smokey eye makeup! The trend has been going on since a few years now & every actress on television or in the movies is spotted in this trend. There are many ways of doing it… But I am going to tell you how to do smokey eye makeup in the simplest & quickest way – so you can learn and achieve a beautiful purple smokey eyes! This post also has a companion video. You can click on the link to watch the full video – ‘How to do smokey eye makeup video’ if you prefer that instead of reading the full smokey tutorial. 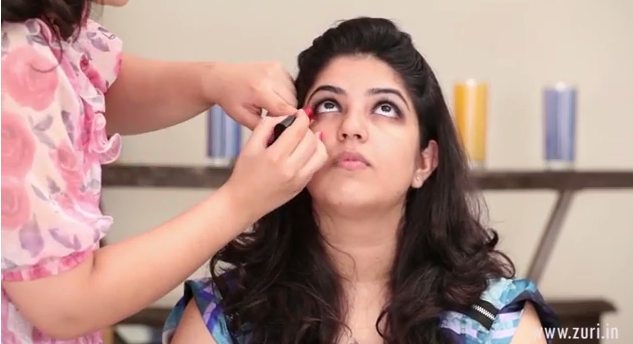 Step 1: Begin with applying a black kajal pencil on your upper lash line all over the lid – the line does not have to be even. 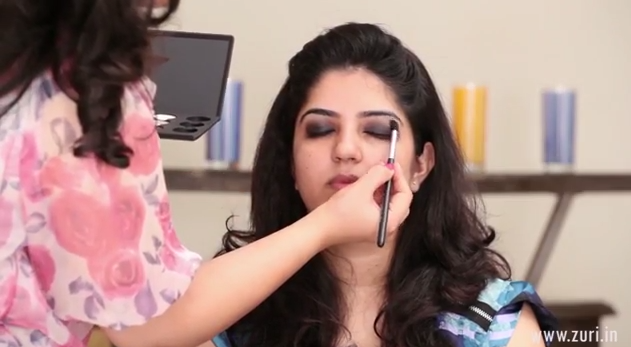 Step 2: Use a pencil brush to smudge the pencil evenly until the crease line. Do not go higher. The black should be darkest at the lash line & fade out as you go higher. Step 3: Use a blending brush to fade out any lines that are visible to the naked eye. Step 4: With the help of the same blending brush, pick some eye shadow that is very close to your skin tone to blend at the crease line. This will soften any harsh edges. Step 5: Apply a shimmery highlighter on the brow bone just below the eye brows to make that area stand out. Blend. 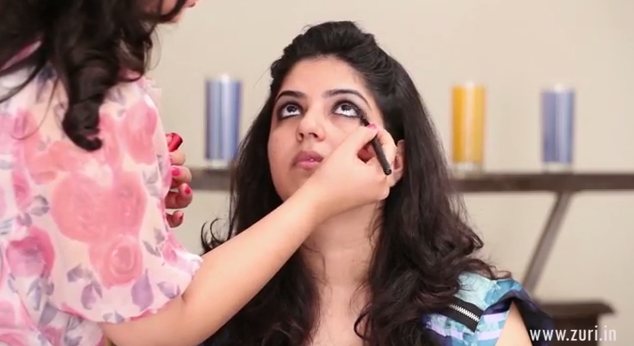 Step 6: Use the same black pencil as kajal on the waterline. 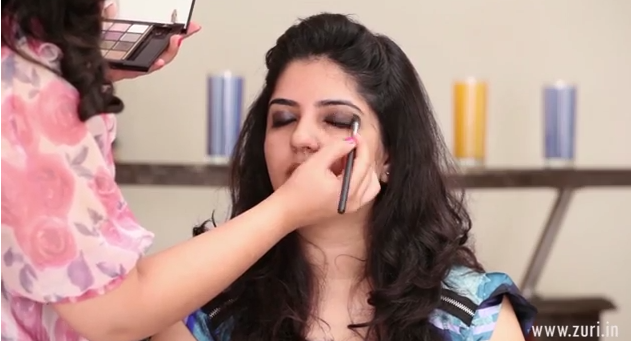 Don’t hesitate to press the kajal as smokey eyes look best when loaded with black! 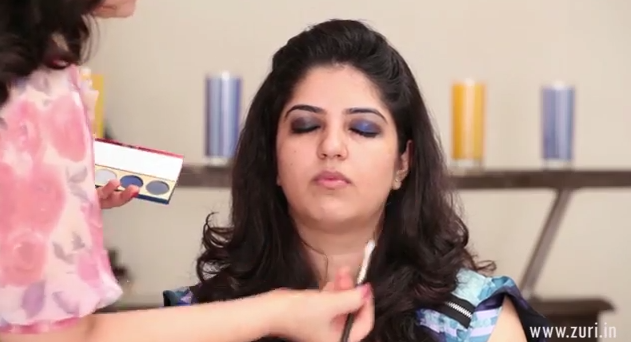 Step 7: Take the pencil brush & smudge out the kajal a little below the waterline to create a soft illusion of colour. Instead of using black, you could even use a matte brown coloured eye shadow to smudge below the waterline. Step 8: In case if you’d like to add a colour to the smokey, now would be the time. 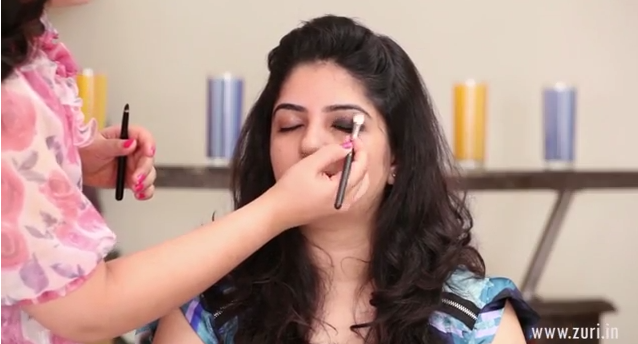 Take the same fluffy brush & apply the colour of your choice on the centre of the eye, i.e. the eye ball. Blend again. 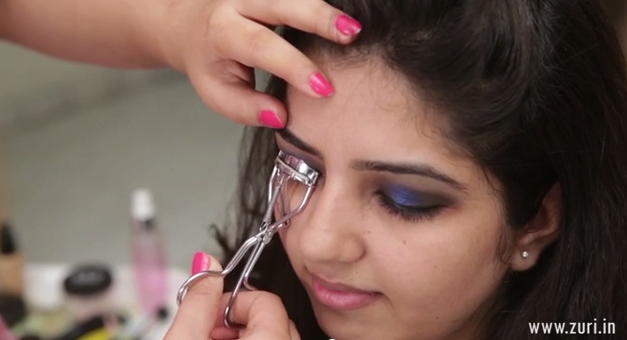 Step 9: With the help of an eyelash curler curl the lashes well. 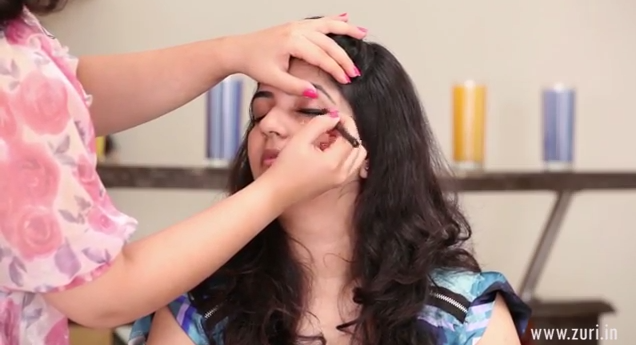 Step 10: Apply your choice of mascara on the lashes from above as well as below! 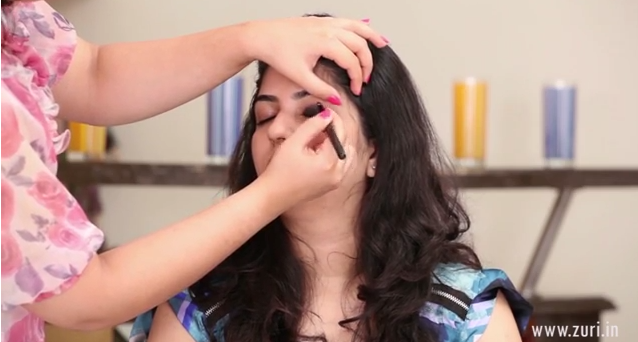 Make sure that you are wiggling the wand/brush from the root of the lashes to the tip. Voila! And you’re done! The key to doing a great smokey eye is in BLENDING! Smokey eyes look the best when all the lines & edges are blended. This might all seem tough in the beginning. But as soon as you’ve practised it, you’ll be a pro at doing the smokey eye! Try having fun with different colours & styles. The thing about makeup is that it isn’t one-size-fits-all. It isn’t meant for anyone in particular… you don’t have to be a certain shape, colour, or type of person to use it. Just enjoy & have fun!